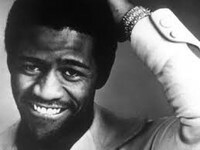 Al Green (1946 - ), or Reverend Al Green, is an American singer, best known for recording a series of soul hit singles in the early 1970s, including "Tired of Being Alone", "I'm Still In Love With You", "Love and Happiness" and his signature song, "Let's Stay Together". Inducted to the Rock and Roll Hall of Fame in 1995, Green was referred to on the museum's site as being "one of the most gifted purveyors of soul music". He has also been referred to as "The Last of the Great Soul Singers". Green was included in the Rolling Stone list of the 100 Greatest Artists of All Time, ranking at No. 66.